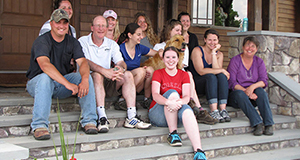 Prior to entering the MAPP program, I worked as a veterinary technician at Henniker Veterinary Hospital in NH for about a year and a half after graduating college. After a class on animal rights sparked my interest in college, I knew that I wanted to delve deeper into the ethics of various animal issues. 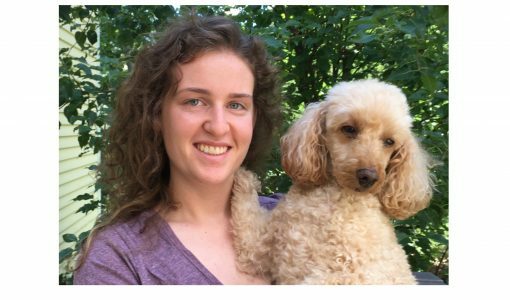 I was drawn to the MAPP program as it was the only post-grad program of its kind that would allow me to pursue this interest and connect me with individuals who shared my passion to improve animal lives. My current position requires me to design and implement strategies and programs to increase the use of nonanimal research methods by scientists through outreach, lobbying, training, and education. I would not have been equipped to perform these tasks without the knowledge I gained in the MAPP program, especially regarding animal-related government regulations and agencies. MAPP also taught me about best practices in performing research and advocacy writing, skills that I use in my current position every day. I completed my MAPP externship at the Massachusetts Society for the Prevention of Cruelty to Animals (MSPCA) in Boston. I worked in the Advocacy Department, where I helped to further animal-friendly state legislation. This externship showed me what working in animal advocacy/policy is like on a daily basis and gave me direct work experience in the field. While even slight legislative progress can be frustrating, time-consuming, and require great persistence, policy change is a way to have a significant impact on a large number of animals in our society. The experience helped prepare me to move forward with a career in the animal advocacy field. What did you like most about the MAPP program? My favorite part of the program was how it introduced me to a new field of career opportunities. Between my professors, colleagues, externship, visiting guest lecturers, and extracurricular events, the MAPP program provided me with so many valuable connections within the animal advocacy field. During the program, I also loved having the option of choosing elective classes that appealed to differing personal interests. While everyone enters MAPP with the shared goal of improving animal lives and understanding their role in society, do not expect to find a class full of people who share all of the same values, beliefs, or opinions of what that means and how we get there. I admit that prior to beginning the program, I expected my classmates and professors to all have fairly similar opinions on most issues. I am thankful my expectations were not met in this way, as these differences led to valuable discussion both in the classroom and informally that allowed me to have a well-rounded viewpoint of many topics.